Looking to buy a home in a community that has it all? 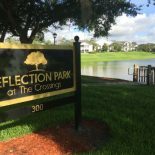 The Crossings in Lake Mary will give you just that. Imagine affordable living, in a highly desirable community with an excellent, highly ranked school system, and many amenities at your fingertips. 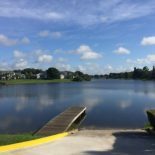 Home buyers will find The economically booming city of Lake Mary provides easy access to a variety of parks and recreation facilities, shopping, dining, golfing, and nearby attractions of Orlando FL. Contact Gitta Sells to find the home of your dreams! Welcome to the perfect destination for families, retirees, singles, and couples. Lake Mary offers something for everyone! Are you a history buff or want to learn more about the area you are living in? The Lake Mary Museum, filled with artifacts, photographs, documents, and so much more is the best way to see the fascinating history of Lake Mary and surrounding areas. Enjoy beautiful parks and recreation facilities scattered conveniently throughout Lake Mary. Central Park at City Hall offers serene pond views, shaded paths, gazebo, park benches, and picnic areas. Browse the selection of fresh produce at the Farmers Market on Saturday mornings. Kiddie Park is a fun-filled paradise for kids. Complete, with a variety of playground equipment, picnic areas, shaded areas, and a water fountain. This is the perfect place for playdates or an outing with your children. Trailhead Park activities include 3 miles of walking trails, areas for rollerblading, jogging, picnic tables and concessions. Trailhead Park serves as the beginning of the Rinehart Trail, which consists of a fitness course and rest stations. This recreational facility is excellent for those who enjoy being physically active or enjoy soaking in the beauty of nature and wildlife. 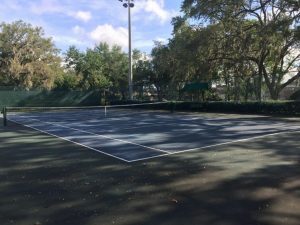 Lake Mary is also home to a Tennis Center and Basketball Courts, each with convenient amenities. Enjoy the basketball court, park benches, and picnic tables. The Tennis Center provides water fountains at each court, shaded benches, restroom and shower facilities, as well as a pro shop. Golf enthusiasts of all skill levels will enjoy the ample golfing opportunities available in Lake Mary! 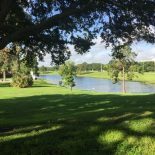 For example, Timacuan Golf Community is just one of the prestigious golfing communities in Lake Mary that offers an 18-hole course, clubhouse and many more amenities. Avid golfers will never become bored with the variety of courses available in Lake Mary. The Senior Center in Lake Mary offers a wide variety of fun activities to engage in with longtime or newly made friends. Crafts, cards, bingo, dance, yoga are just a few of the exciting opportunities available. Lake Mary, located in Florida’s high-tech corridor is thriving economically. Many corporate offices such as AT&T, Verizon, Charisma Media, FISERV Solutions, Siemens Information and Communications Network, Inc., Duke Energy, WKCF-TV Channel 18 and many more call Lake Mary home. An abundance of available undeveloped property for commercial use makes the opportunities for your business limitless. 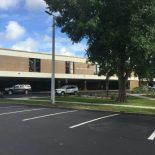 Lake Mary is also a stone’s throw away from AAA National Headquarters, Dixon Ticonderoga, Bellsouth Mobility, Convergys, and Mitsubishi Power Supply. Education is of the utmost importance in Lake Mary. Lake Mary is located in the Seminole County School District, which consists of 8 elementary schools, 5 middle schools, and 2 high schools. Seminole County Public Schools (SCPS) are ranked 1st in STEM (Science, Technology, Engineering, and Math) in the state. 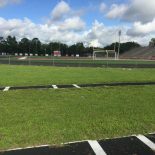 Other distinctions for SCPS include SAT scores above the national and state average for 38 consecutive years, ranked 1st or 2nd in all grade levels on FSA Reading, FSA Math, and the Statewide Science Assessment for Central Florida school districts, and ranked 4th highest in school facility utilization. The convenience of fine dining, upscale shopping, prestigious golfing and close proximity to the national and global attractions of Orlando, rounds out the luxury living that Lake Mary residents enjoy every day! Lake Mary is only 20 miles north of Orlando. Easily visit popular national attractions such as Disney World, Sea World, and the Kennedy Space Center. Enjoy upscale retail shopping at the nearby Almonte Mall, a variety of savory cuisine, world-class golfing opportunities, luxury living, and so much more right at your fingertips! The Crossings is one of the largest master-planned communities in Seminole County. This diverse community includes single family homes, condo/townhomes, and apartment communities. There are approximately 2,900 homes ranging from 1,100 square feet to 3,000 square feet and range in price from the high 100’s to the low 300’s. 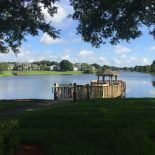 Communities include Lakewood, The Reserve, Remington Oaks, Silver Lakes East, Silver Lakes, Greenwood Lakes, Hidden Village Condos, Highlands of Lake Mary, Lakeview Village, Osprey Landing, and Regency Park. 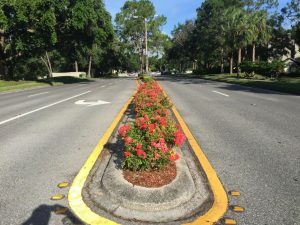 Residents enjoy beautifully maintained mature landscaping. Convenient sidewalks are the perfect place for jogging, running, walking or a peaceful stroll. Beautiful, serene lakes are interwoven in the community, with sitting areas available throughout. 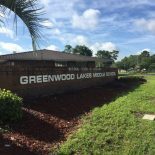 The Crossings Community is in walking distance of Lake Mary Elementary, Greenwood Lake Middle and Lake Mary High School. The Seminole County Northwest Branch Library is conveniently in walking distance, located at 580 Green Way Blvd, Lake Mary, FL 32746. Enjoy all the nearby YMCA has to offer residents as well. 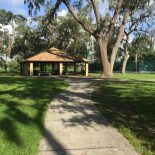 Located near Lake Mary High School, is the beautiful 14-acre Greenwood Lakes Park; filled with numerous recreational opportunities, such as three lighted tennis courts, two playgrounds, lighted roller hockey rink, and a large pavilion perfect for gatherings. 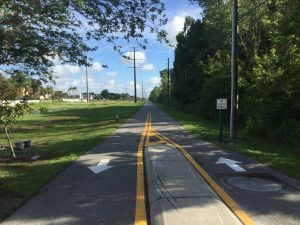 Greenwood Lakes Park is the trailhead for the Cross Seminole Trail. Walkers, joggers, and runners will find this a gorgeous venue to exercise and enjoy the outdoors. 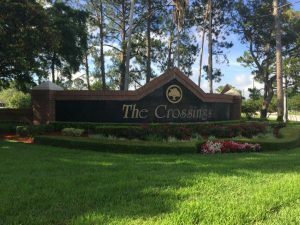 Come see why the diverse, unique neighborhoods and distinguished community, in the ideal location of Lake Mary, make The Crossings the perfect place to call home! The Crossings in Lake Mary Fl is the ideal location for home buyers. 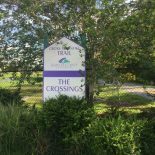 The Crossings contains affordable homes in diverse, unique neighborhoods with easy access to many great amenities, including recreational facilities, shopping, dining and national attractions of Orlando. Located in highly rated Seminole County School District.Lake Mary's location in Florida's high-tech corridor and thriving economy, perfect location for your business.